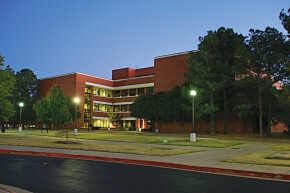 This project provided a brand new 84,000 square foot five story facility with classrooms, science labs, lecture hall and office space to the University of Arkansas Fort Smith. The facility is built of structural steel with an exterior finish composed of masonry and brick. The roof is a two level built-up roof.